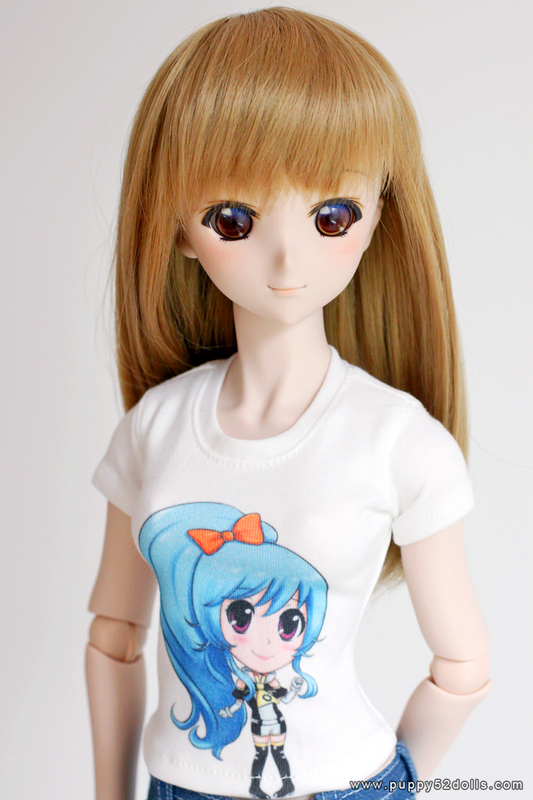 Bikini Preview Have a Mirai Halloween! 23 Oct 2014: I have shipped some items today and also on 18 Oct 2014 (did not have a chance to update), have one more shipping run to do — have e-mailed the buyer :) Thanks again everyone for waiting! Webshop is updated with preorder for bikini sets and some ready made T-shirts as seen in this post. IMPORTANT: If your purchase includes a preorder it will mean your package will be shipped only after the outstanding item is completed. 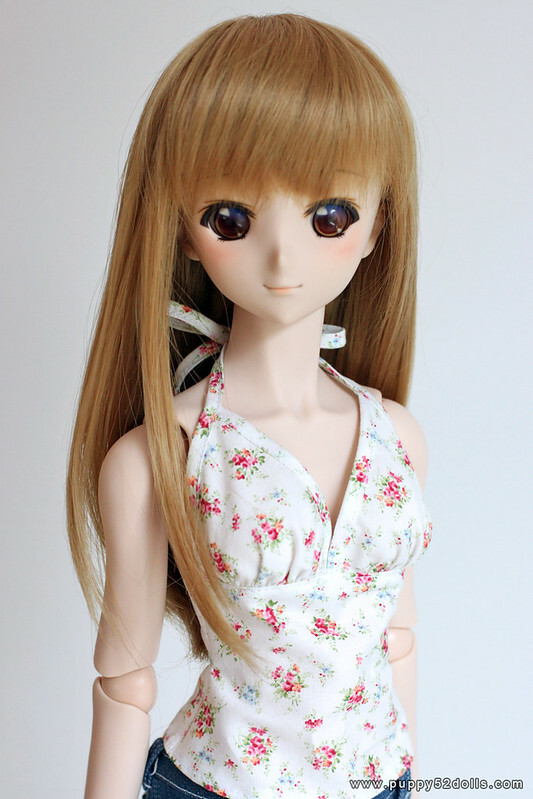 Aki is M-bust Dollfie Dream, wearing the same blouse as above. 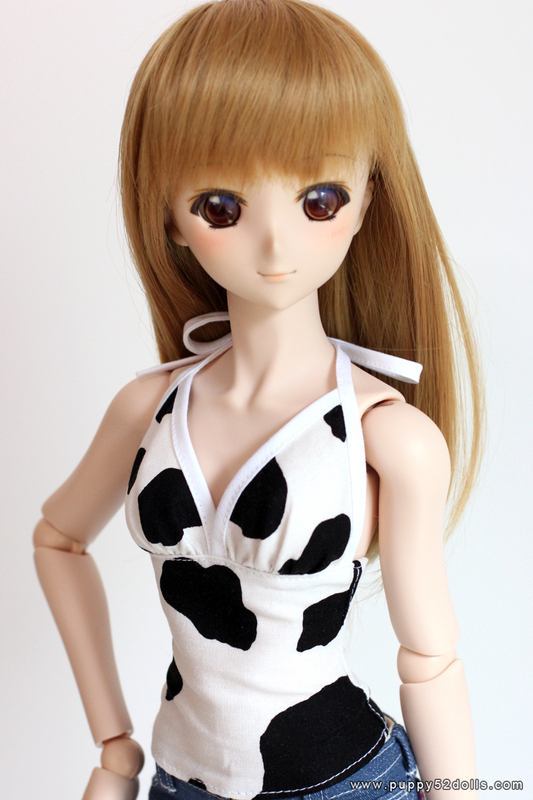 My Yukino (Mirai) in Dynamite body wearing the Cow print Halter top. On Dynamite body, the fit will be a bit different, there will be creases under the bust and at the back. Also print will differ each re-make. 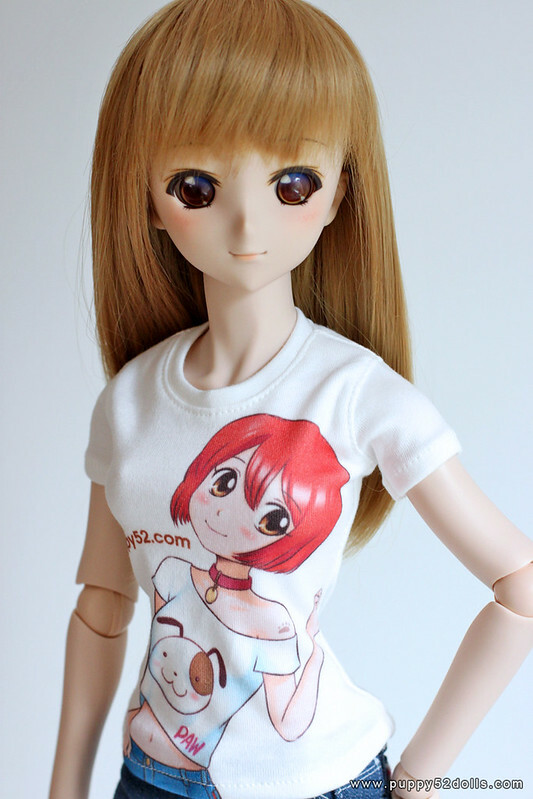 Ready made teeshirts, close at the back with doll velcro, as these are my personal preference for ease of wear. The teeshirt material is printed via my personal Spoon flower account. 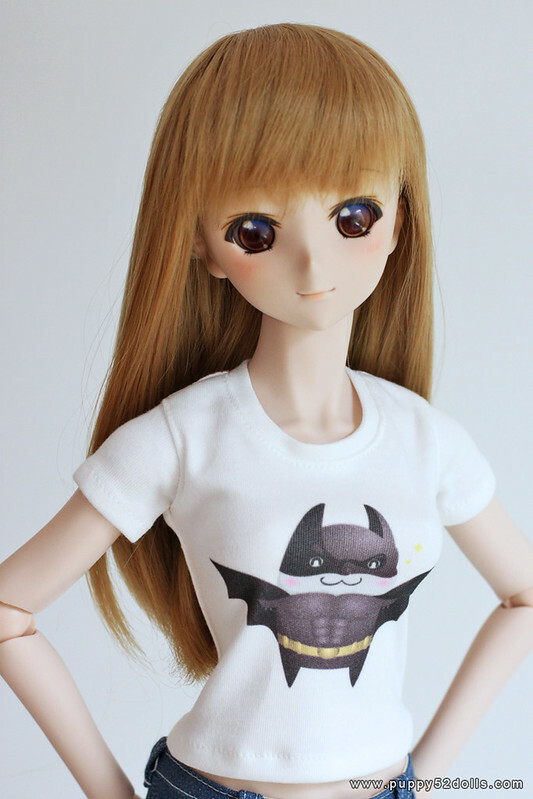 Bat Mouse Teeshirt, Medium length, if your girls own my jeans or skirts, the edge will touch the waistband. Senmei (Mascot of Anime Revolution) Chibi fan art by myself. Medium length, if your girls own my jeans or skirts, the edge will touch the waistband. 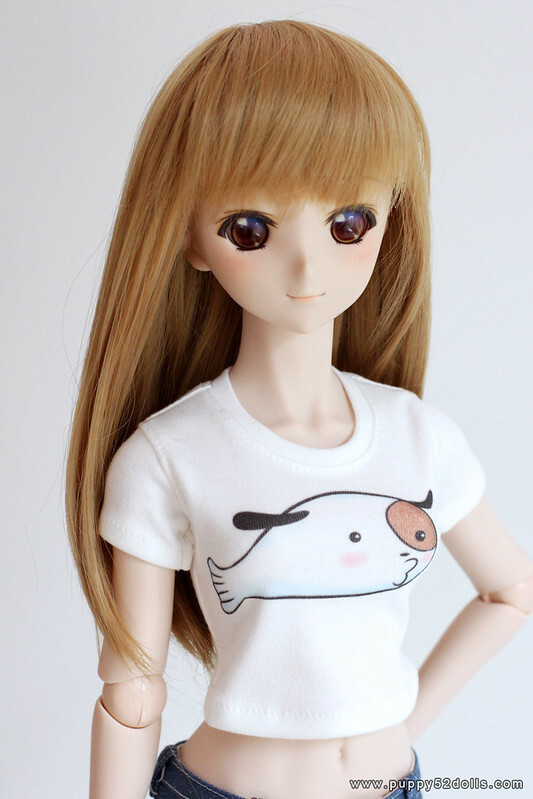 Paw, my original character ^o^ Length is Long, if your girls own my jeans or skirts, the edge will cover the waistband. Seems to be a very popular item though, in case you will be free to make some more, I would love to buy one.